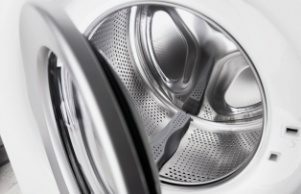 It would seem that an appliance utilising hot water and detergent should naturally remain clean and hygienic, but this isn’t always the case. Washing machines use powerful action to dislodge and remove grit and grime, but only the best washing machines also clean themselves along the way. ASKO applies cutting edge technology that continues to transform the way Australians approach cleaning, with fully automated washing machine self-cleaning programs all part of the service. How to clean the inside of a washing machine? Advanced computer technology means ASKO washing machines have tons of functions for performing every type of wash task. This includes the Active Drum cleaning cycle that runs without anything in the machine, so every crevice of the stainless steel drum can shine like new. With advanced ASKO washing machines, there are no rubber bellows or door seals that degrade and attract grit. Instead, your washing machine is fitted with a SteelSeal stainless-steel drum that fits seamlessly. With nowhere to hide, dirt and grit are guided past hourglass shaped paddles and toward purposefully placed evacuation points. With an optimally functioning washing machine, your clothing and other items should be totally clean and fresh, so for best possible long-term results, quality ASKO appliances are worth serious consideration. You can access the Active Drum cleaning cycle via the washing machine user interface, and at the push of a button the machine will do the rest. How to clean top loading washing machines? Although your ASKO front loading washing machine has a built-in self-cleaning program, older top loading washing machines don’t. However, there are some environmentally safe methods for cleaning washing machines using a little bit of know-how. Here is one simple method for cleaning top loading and front loading washing machines. How to clean a smelly washing machine? Your ASKO washing machine will look and smell showroom fresh for many years of reliable service, although there are ways you can assist. For example, you can clean the detergent/fabric softener dispenser in your ASKO dishwasher. Every appliance owner should also familiarise themselves with basic maintenance covered in the user manual. Simple tasks such as checking the filters should be a part of your maintenance schedule to guarantee you never have a smelly washing machine. Top loading washing machines can be more difficult to clean as they use a central agitator that will deteriorate over time and can trap small items. ASKO prefers the SteelSeal washing machine solution where seamless integration of form and function rules, and Australian home owners and builders are all part of the ASKO Australia-wide network of superior appliances. Does a self-clean cycle get rid of soap scum and stuck-on stains? It only makes sense that a washing machine should also be able to clean itself. 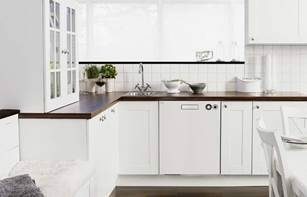 ASKO have been developing washing machines since Karl Erik Andersson first built his mother a superior washing machine on their farm way back in 1950. 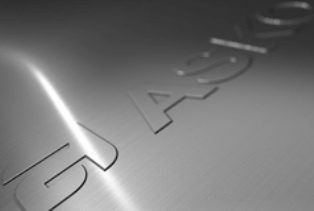 ASKO continues the tradition from the same location, in partnerships with leading manufacturers and appliance retailers worldwide. Soap scum and stuck-on stains are no match for an ASKO self-clean cycle that utilises progressive technology and highest-quality components. The ASKO SteelSeal washing machine drum ensures a more hygienic wash by eliminating rubber door seals that degrade over time. Derived from commercial washing machine technology, SteelSeal makes it impossible for the build up of residual detergents and stagnant water to collect. The perfectly symmetrical washing machine drum, seamlessly integrated and without any impeding features, is an ASKO trademark for guaranteeing a fragrant and clean wash every time. Are there other tips for keeping a washing machine cleaner? ASKO front loading washing machines incorporate dozens of programs, modes and features for every type of wash. ASKO make durable and powerful washing machines that can handle the tough treatment without compromise. The ergonomic left-to-right navigation panel introduces you to great features for a superior wash while also keeping your washing machine cleaner. Family-friendly washing: ASKO appliances adapt to every wash cycle program. At the push of a button, water levels, water temperature and washing intensity are fully automated, making clothes washing a tailored experience that will save you time and money. The choices are all yours with an ASKO washing machine. Safety features: Appliance safety is another ASKO trademark. 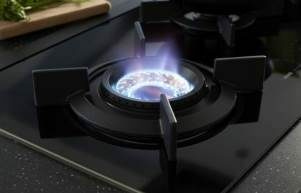 We manufacture user-friendly appliances that incorporate special safety features for additional protection. Your family are in safe hands with ASKO. It’s also worth appreciating superior ASKO washing machine manufacturing that includes the use of 4 Quattro shock absorber legs, stainless-steel drums and other fully recyclable components. 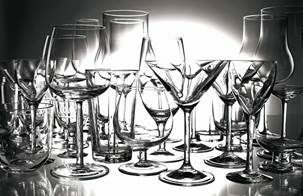 Water and energy saving: Water and energy efficiency are essential features of modern appliances. State of the art technology allows ASKO to develop intelligent appliances that reciprocate with the user and offer the best wash programs for saving money. Here are just a few ways we do it. Is the regular washing cycle the same as the self-clean cycle? The set and forget nature of modern clothes washing machines turns the chore into a breeze. Simply by selecting your desired program, or by choosing from your saved favourites, the wash cycle and settings are fully automated. The settings can be adjusted for every type of wash, including allergy programs and Eco Wash programs that are better for you and for the environment. The Drum Cleaning program is a special wash cycle dedicated to cleaning the appliance itself. Keeping your washing machine in top condition is easy with ASKO, and all you need to keep the exterior sparkling is a soft cloth and some mild detergent. ASKO appliances are made using stainless steel, cast iron and other single piece components that don’t tarnish, deteriorate or stain the appliance or your clothing. If you are tired of a sudsy mixed up wash that doesn’t even spin/dry properly, or fabric softener dispensers that attract scum, it’s probably time to check out ASKO appliances and take a quantum leap into the future. 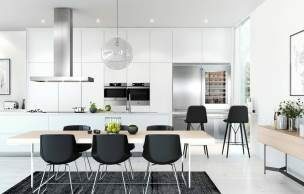 Contemporary washing machines are a cut above the rest, and for high-end appliances at prices regular Australians can afford, ASKO is the manufacturer of choice.